Sulfhydryl group: An -SH group. Not considered as a distinct functional group. 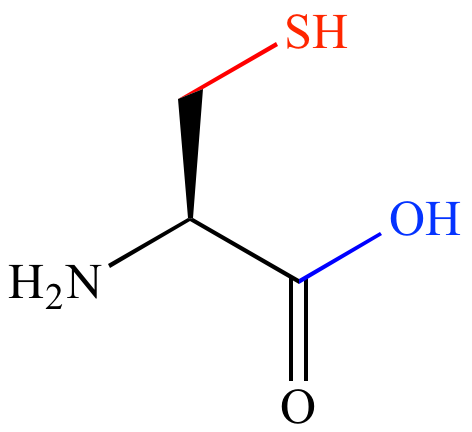 (shown in red) and a hydroxyl group (shown in blue).